1. 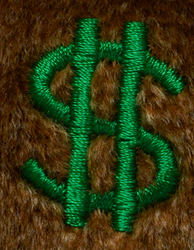 The most common indicator of a counterfeit Billionaire bear (the first version) is the color of the material. 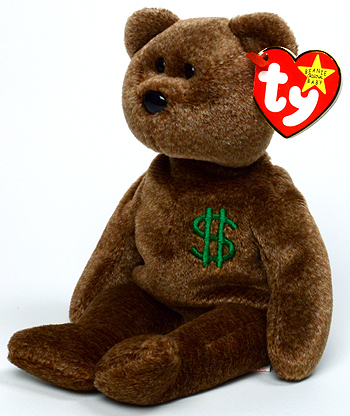 The authentic Billionaire bear has a speckled brown fabric. 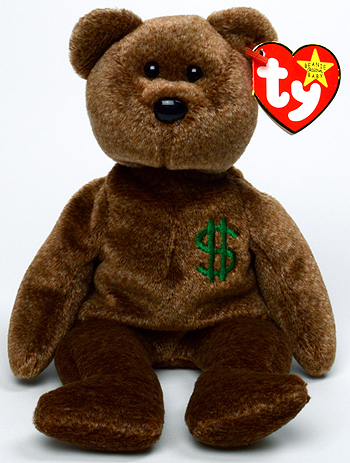 The counterfeit has a solid brown fabric. 2. 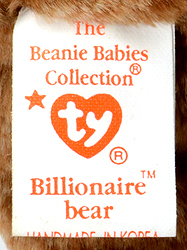 An authentic Billionaire bear has the 6th generation tush tag with a red heart. 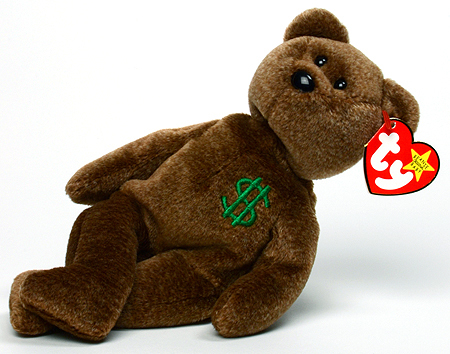 Any Billionaire bear (the first version) Beanie Baby with a hologram tush tag is counterfeit.